HELLO! My name is Tairicha. My Birthday is December 21st. Meet Tairicha! She lives in a green house on the island of Roatan, Honduras and is the oldest of three children. Her dad works driving a glass-bottom boat for tourists on the island and works part of the year for an American man in the United States. She is almost always the first student at school. Even before she came to school, she would sit outside the door and listen to what was going on. Her favorite color is purple and she loves to read. 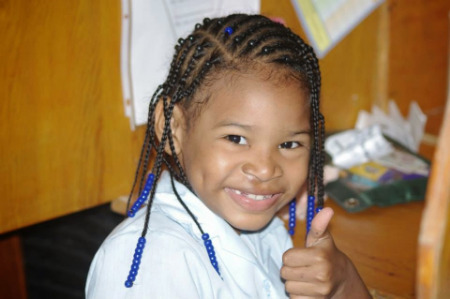 A loving sponsor would help encourage Tairicha to continue to work hard and stay in school. Would you consider investing in her life through sponsorship?